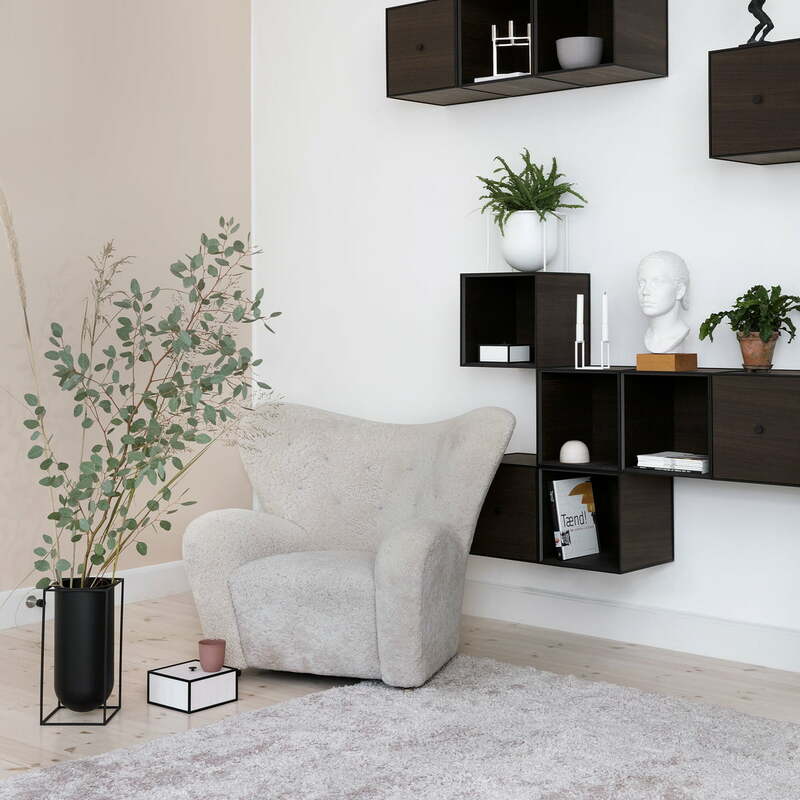 The Kubus Vase Nolia from by Lassen convinces with its generous dimensions and therefore makes a particularly good floor vase. 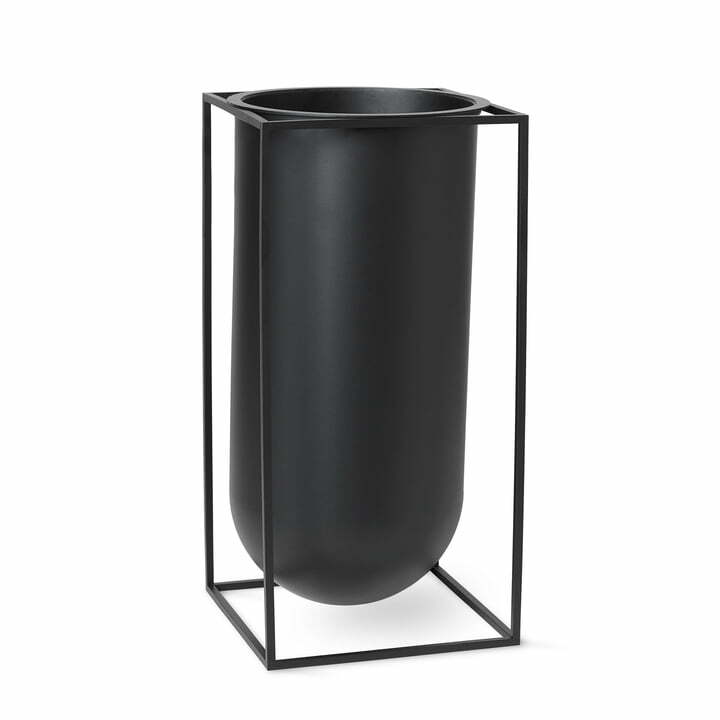 The vase with a height of 40 cm and a diameter of 20 cm belongs to the Kubus series by Mogens Lassen. Already in 1962 the architect had designed the iconic cube candle holder. Today the series is continued and extended by his grandson Søren Lassen. 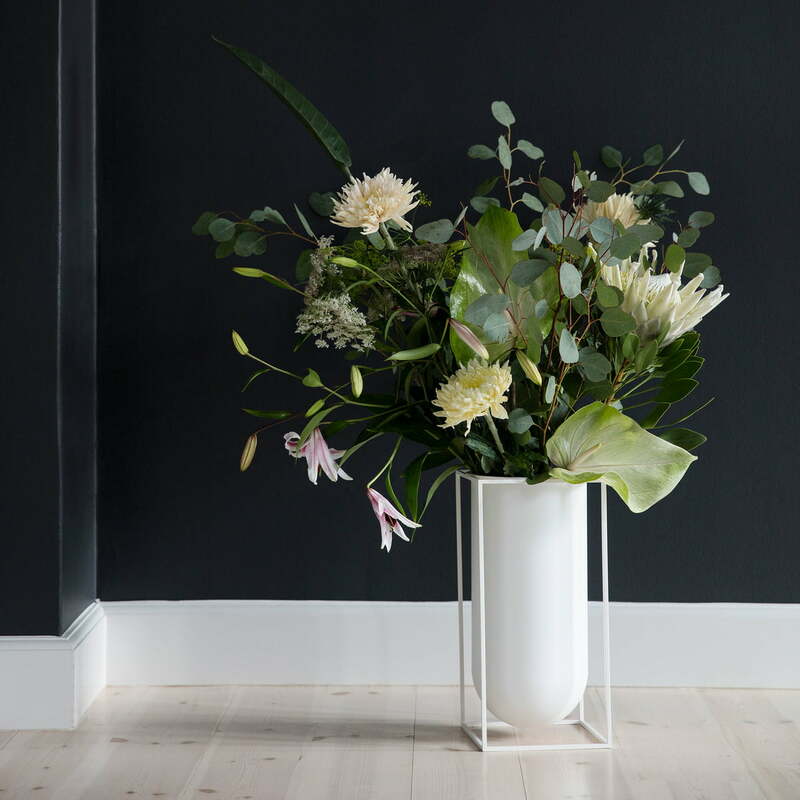 This timelessly elegant floor vase captivates with its eye-catching shape, whereby the sharp, geometric outer frame surrounds the soft, rounded container. The combination of defined edges and organic curves makes this vase an outstanding design object and an eye-catcher in the living area. Large twigs, lush bouquets and also single long flowers are set in the vase great in scene. An insert that keeps the flowers and plants in place helps. The vase is made of lacquered metal in different colours. 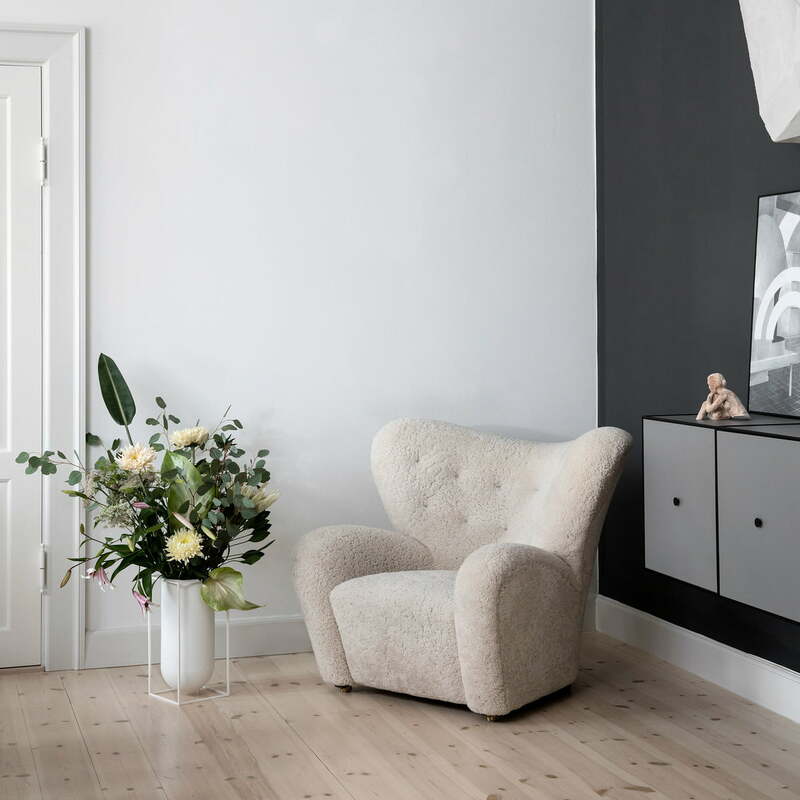 The Kubus Vase Nolia in white with a lavish bouquet of flowers on the floor in front of The Tired Man armchair sheepskin by Lassen in the ambience view. 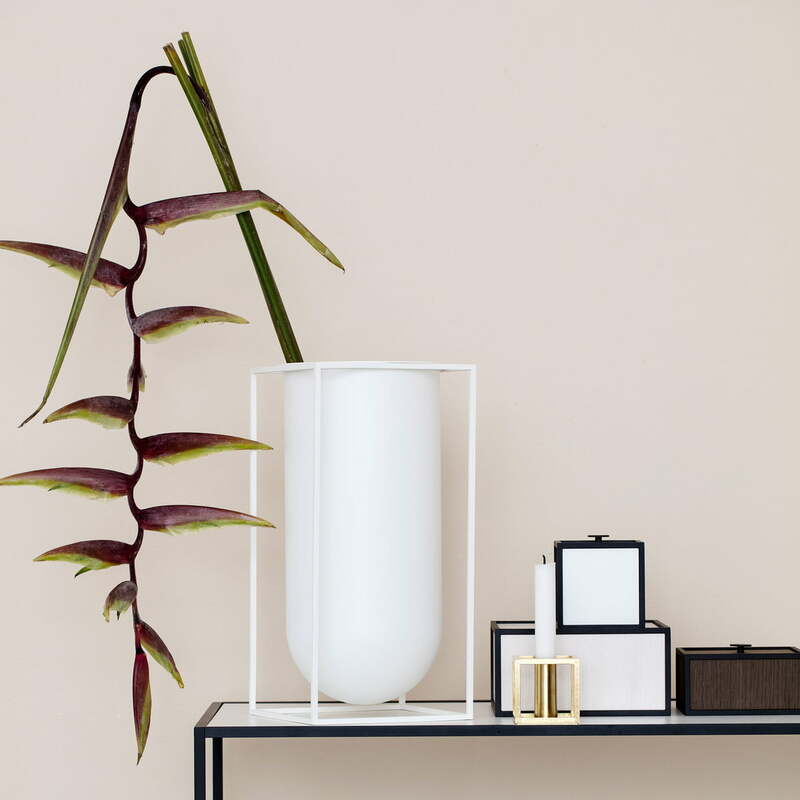 The Kubus Vase Nolia in white with the frame boxes in different sizes and colors and the Kubus 1 candle holder in brass by Lassen in the ambience view. Large twigs, lush bouquets and also single long flowers are set in the vase great in scene. An insert that keeps the flowers and plants in place helps. 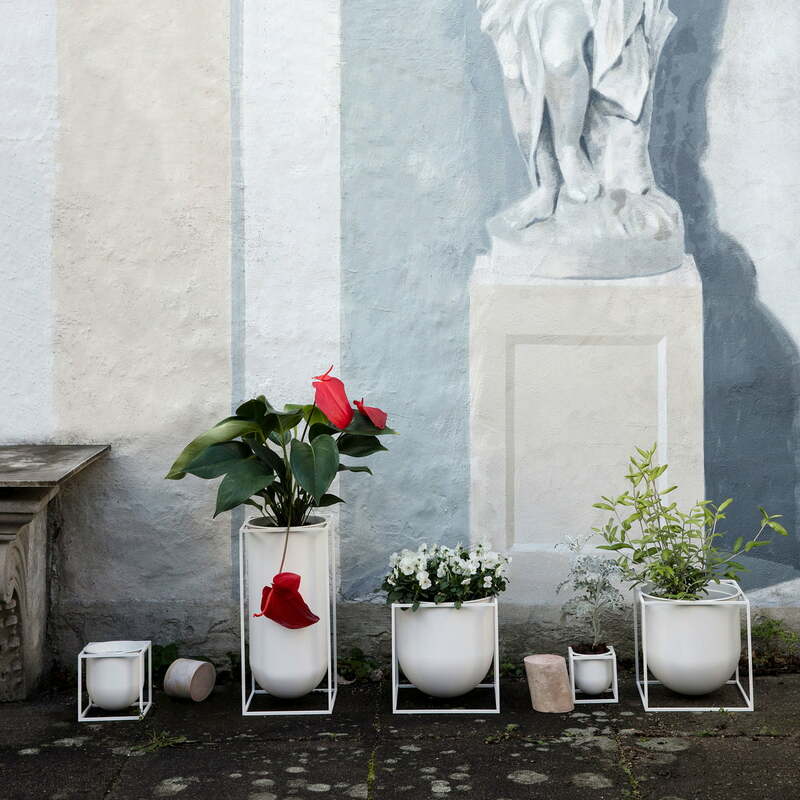 The Kubus Vase Nolia with the Kubus Flowerpot by Lassen in white in the ambience view. 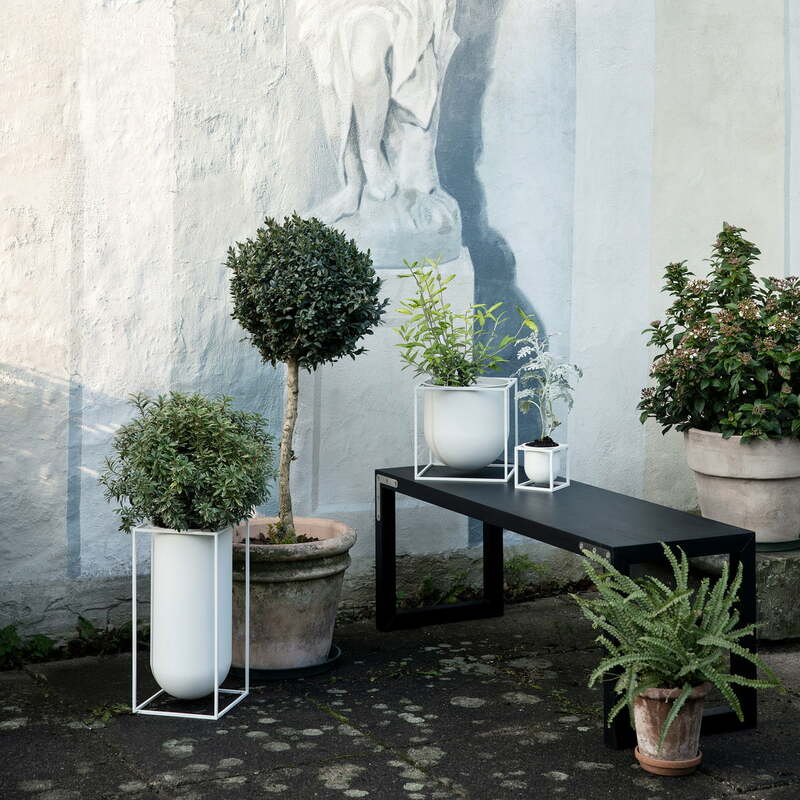 In different sizes the vases and flower pots from by Lassen complement each other perfectly.